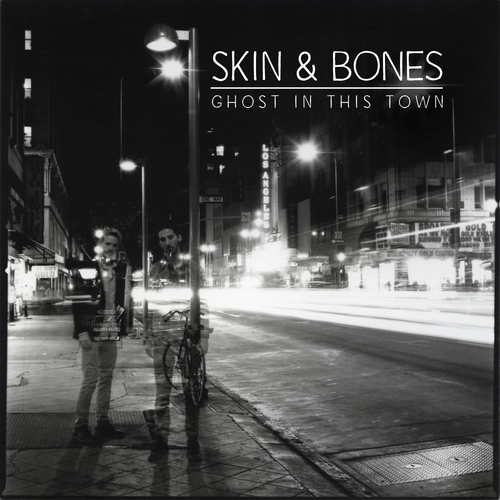 Earlier this month, the California duo Skin & Bones released their album, The Ghost In This Town. Multi-instrumentalist Taylor Borsuk and fiddle player Peter Blackwelder are creating soulful folk music that fans of blues, country or roots could all appreciate. Their musicianship and sense of groove and dynamics is something that any discerning listener can get excited over. Its an album that caught our attention last August when we showcased their single, “Bad Feeling”, on our new music Matinee. The song grabs you and engulfs you in the Deep South. It is the dark gritty and growling blues, full of slide guitar that, as the song says; it “runs deep in your bones”. The Ghost In This Town is an album that listeners must not overlook. Every song is moving and dynamic. Between the voice and the fiddle – it buries into your soul and doesn’t let go. The music is somewhere between grace and grit – the devil at the crossroads and an angels lament. Skin & Bones are carving out unique music and they are darn good at it. The only bad thing to say is that the music ended to quickly. You can purchase the digital or physical copy of The Ghost In This Town on their website here. Also, check out their upcoming shows and support them!